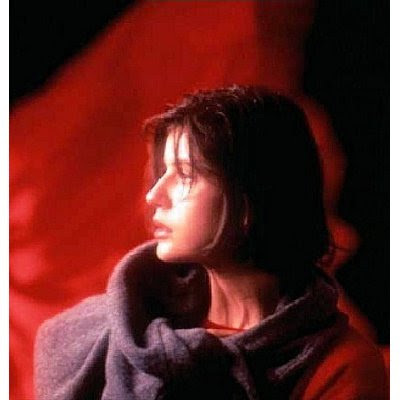 In preparation for screening Kieslowski's brilliant Red in my Film Discussion Series this Sunday, I dug through my old film essays from my baccalaureate program to bring you a companion article that chronicles not only Red but the first two films of The Three Colors Trilogy-- Blue and White. Filled with research and critical interpretations, the essay's aim is to enrich your appreciation of the films but it comes with a warning that there are numerous plot spoilers contained throughout so you should read it only after you've seen the trilogy. By posting it today, I thought I'd try to provoke discussion for any early-birds who may be attending this weekend but more than that, to share my series with readers all across the globe. Also new to the site, I've completely updated my Jen's P.O.V. page. Frequently, I'm asked why I don't have a My Space page or am a member of Facebook or any of the dozens of other social networking sites online. While I'm flattered and would love to add all my readers as "friends," frankly, I don't have enough time to constantly update that many pages and sites. Feel free to explore and if you have any other random questions, let me know via the feedback form. Anyway, take a look around, enjoy the changes and stay tuned for new features.